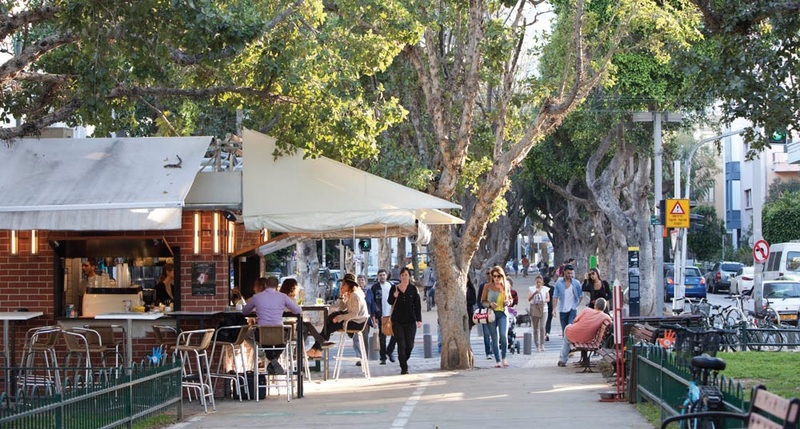 Widely regarded as one of the most prominent and picturesque streets in this lively Mediterranean metropolis, Rothschild Boulevard is an axis of culture, recreation and business. It is home to Israel’s National Theater, the Israel Philharmonic Orchestra, entertainment hubs and the head offices of the country’s main banks. Rothschild Boulevard is a vibrant gallery space – a living, breathing, constant exhibition of architecture, fashion, culture and art. The colorful, varied and fascinating components of Rothschild Boulevard encompass the city’s history within them. Villa Rothschild is located at the very point where the boulevard curves, where the nostalgia-inducing Tel Aviv of yesteryear meets the city that is striding confidently into the future.